The complex balance of the coral reefs, mangroves and seagrasses protect and nurture more than 500 species of fish—essential in these countries for food security, economic development, and poverty alleviation. The beauty of the reefs attract visitors and ecotourism dollars to local communities. Engagement and leadership by these local communities is crucial to conserving this vital ecosystem for the future. 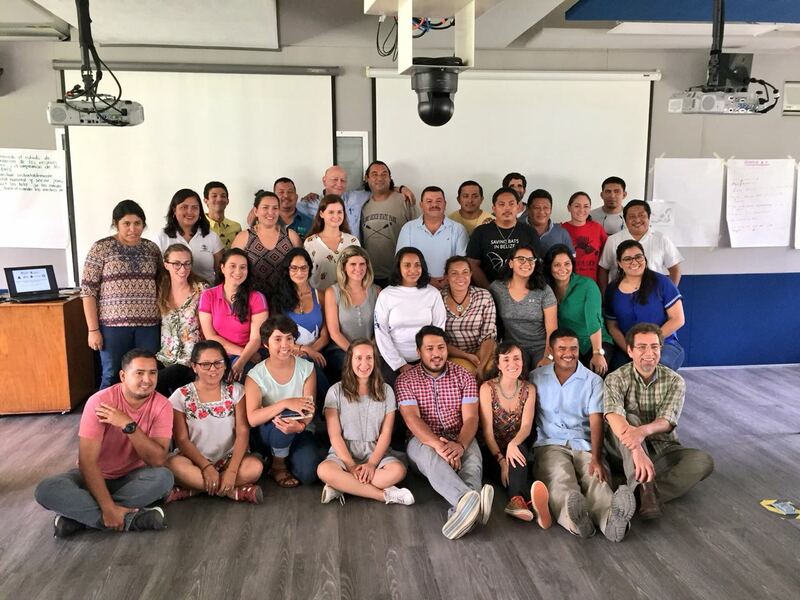 That’s why EDF teamed up with the Mesoamerican Reef Leadership program to bring together twenty exceptional leaders from all four countries for a collaborative workshop on sustainable small-scale fisheries projects. The MAR Leadership program is a joint initiative of the Mexican Fund for the Conservation of Nature, A.C. (FMCN) and The Summit Foundation which aims to advance and accelerate long-term conservation in the Mesoamerican Reef ecoregion by training the next generation of regional leaders. During the workshop, the group explored how fisheries reform and good governance of the oceans can be a catalyst for growth and sustainable development – including meeting the United Nations Sustainable Development Goals. EDF shared our Sustainable Fisheries Toolkit and introduced methods for science-based management in data-limited fisheries to help support the MAR leadership projects. One of the most illuminating parts of this collaboration was a discussion on how each of these projects are helping their stakeholders and communities meet the United Nations Sustainable Development Goals (SDGs). SDG #14 is focused on Life Below Water, but when we did a deep examination of the bold ambitions for these projects, we saw how they also helped with poverty alleviation, food security, equality, health, education and climate adaptation. Mapping the projects to the SDGs reinforced how critical sustainable fisheries and oceans conservation is to the overall sustainable development of the Mesoamerican Reef region. Participants in the program are now leading and inspiring change throughout the region. For example, MAR Leaders from Belize have been at the forefront of the transformational change in Belize’s fisheries management. This includes a national fishing rights program called ‘managed access’—which is already yielding benefits for fishermen and the ecosystem. 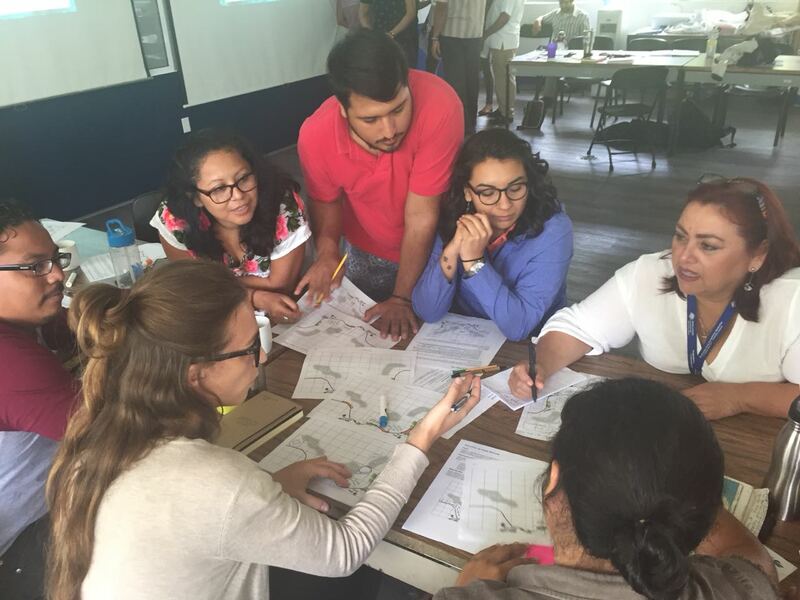 In Quintana Roo, Mexico stakeholders implemented a fishery improvement plan that increased the value of the spiny lobster fishery and improved livelihoods of fishermen. Cabo Pulmo in Baja Sur, Mexico was protected to conserve its magnificent reef and the lucrative tourism industry. The Healthy Reefs Initiative provided an overview of how to effectively monitor the health of the reef using ecosystems indicators. EDF is honored to partner with these talented and passionate leaders. 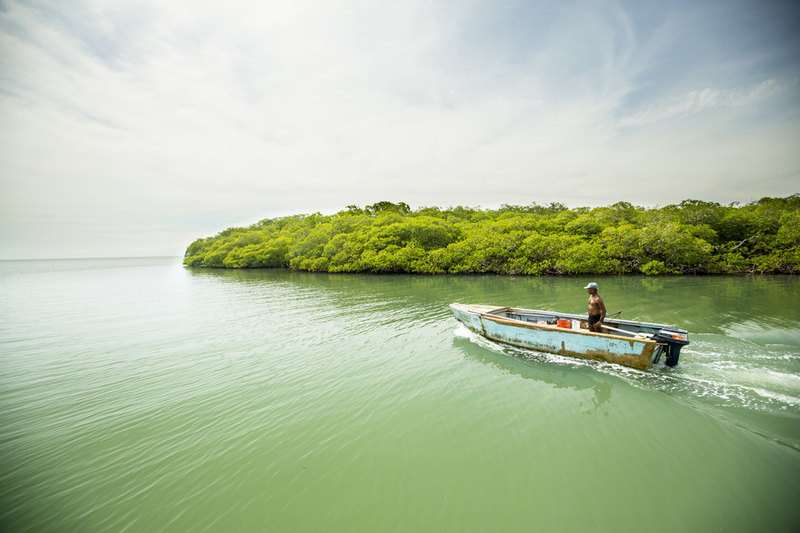 Together we built a vision for how a network of sustainable small-scale fisheries and empowered communities can create a blue economy for the Mesoamerican Reef. Equipped with tools and experiences provided by MAR Leadership Program, EDF and other organizations that have led reform for small-scale fisheries in the region, the MAR Leadership cohort for 2018-2019 is prepared to help lead a movement for small-scale fisheries and conservation in the Mesoamerican Reef. Presenters at the workshop included an array of institutions leading change for small-scale fisheries throughout the region including the Healthy Reefs Initiative, Comunidad y Bioversidad (COBI), the World Bank Marine Climate Change Adaptation Program, El Fondo Mexicano para la Conservación de la Naturaleza, Amigos de Cabo Pulmo, Pixan’Ja Consultancy, Centro de Estudios Marinos, Alianza Kanan Kay, FUNDAECO, Belize Fisheries Department, Wildlife Conservation Society, Future of Fish, GEF Small Grants Program of the United Nations Development Program, and Community Tours Sian Ka’an. This entry was posted in Belize, International, Mexico and tagged Guatemala, Honduras, MAR, Mesoamerican Reef. Bookmark the permalink. Both comments and trackbacks are currently closed.